This is an ideal starter kite for young flyers, large 60 inch makes this a great flyer with a wide wind range . Durable design ...no plastic nose, lighter frame for low wind performance. This kite will also perform all the basic stunt kite tricks. Axle, Coin toss, flick flack, Turtle and others. Kids can grow with this kite, it's easy to fly. We tested this kite and were very surprized at the performance and trick-ability. If you are looking for a kite to stack this is an ideal kite. 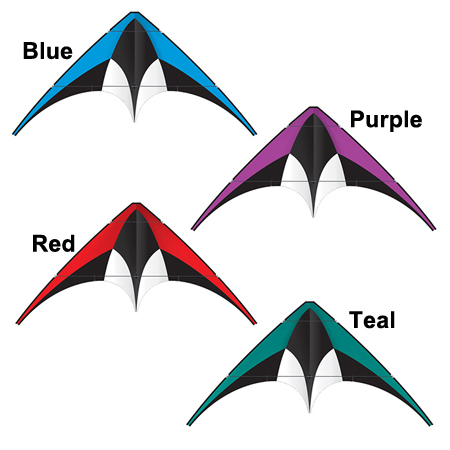 We stack four kites and found it easy to fly and ideal for a first stack experience.